A series of earthquakes shook Dingxi city in Gansu Province on 22 July 2013, with the strongest measuring 6.6 on the Richter scale. Some 95 people were killed, over 1,000 others injured, and another 300,000 displaced. The earthquake’s epicentre was just 20km under the surface, resulting in substantial destruction to homes and buildings that affected more than 1,000 families. The threat of mudslides and landslides due to wet weather conditions, meanwhile, hindered relief efforts. 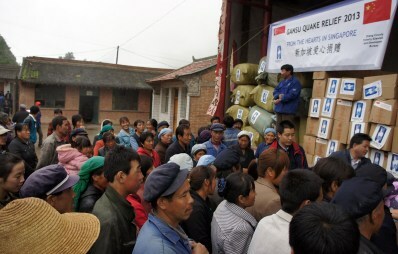 Mercy Relief responded to appeals for aid by the Zhang County Poverty Alleviation and Development Bureau (ZCPADB).